AltaCam features Alta Ski Area resources (Why Ski Alta? ), including mountain cams, a ski photo contest, skier interviews and more. Visit TheDailyPow.com for authentic Alta ski reports via our award winning video diary! Photo taken in Grizzly Gulch. We would hike up the cat track with snowshoes & skins or cross over from Supreme Lift. One day we ran into a group of German mountaineers and they had a good laugh at us as we mustered threw the snow in all of our eclectic accending gear. Ski Bum Poet is the Powder skiing and lifestyle diary of a Utah skier. The Daily Pow Alta ski conditions/reports and video diary. 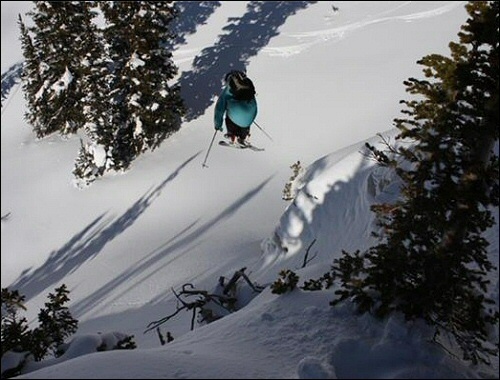 Wasatch.Ski Powder Skiing lifestyle content from the Wasatch Mountains of Utah. Content © 2000-2018 GravityFed.com, Inc.